Popular online poker room Mansion Poker today announced the signing of big time cash game player David Benyamine. Benyamine, who is a regular fixture at Bellagio's table one, also has some extremely impressive tournament pedigree. He is a two time winner on the WPT having triumphed in the 2003 Grand Prix de Paris and the WPT Battle of Champions II events. David, who has been nicknamed "The French Kid" by the legendary Doyle Brunson, has fast advanced to become one of the top players of high limit cash action and has built a solid reputation for monster pots and taking down some of the richest poker hands in the history of the game on the Internet. Speaking about his new sponsorship deal, Benyamine said, "I am enthusiastic about working with a gaming company that is driven to emerge as a leader in the high roller market for both online and land-based events and I look forward to sharing the MANSION Poker experience with the best players in the world." Kathryn Farrell, Communications Manager for MANSION Limited said of the signing, "It is with great excitement that we welcome David Benyamine to the MANSION team. 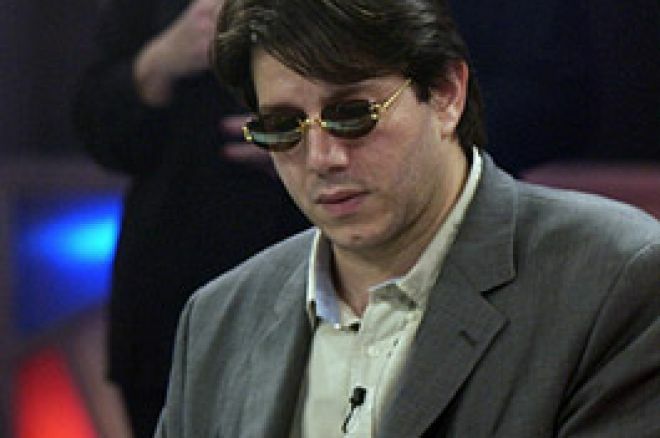 MANSION is proud to endorse a player with David's reputation and standing amongst poker's elite." She also went on to say, "We are confident that David will bring a class of play to MANSION Poker that will capture the attention of high limit cash and prestige tournament players worldwide, and we look forward to David becoming recognised as a valued Ambassador for MANSION." Benyamine, the "King of Cash", will next sport the MANSION logo at the upcoming Caribbean Poker Classic in St Kitts from November 24th to December 2nd. He faces a top poker field which last year attracted celebrated couple of the game Phil Laak and Jennifer Tilley amongst others. Internet poker devotees should look for David Benyamine online at MANSION Poker playing under the handle "davidbenyamine". The announcement of the sponsorship marks the run up to an epic month for Mansion with the running on the 3rd of December of an Aussie Millions qualifier with no fewer than seven packages to the southern hemispheres premier poker event to be won. With $250,000 added throughout the festive season Mansion is sure to be the first choice for many Internet players.